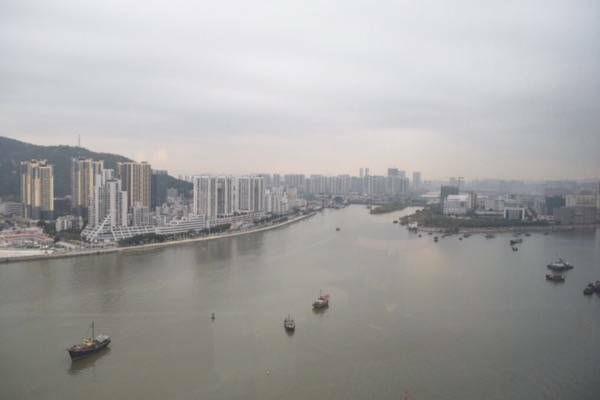 When I visited Macau, I stayed at Sofitel Macau at Ponte 16, which is located in the old part of Macau. 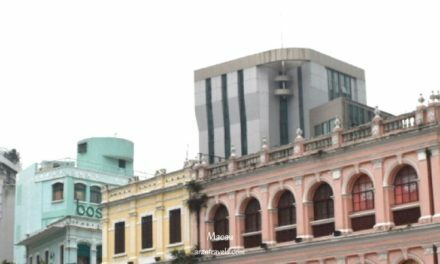 Macau consists of three parts which are all connected to each other. While many think about gambling and casinos when thinking of Macau, Macau actually has a very beautiful old town and here is where Sofitel Macau is located. It has a lot of interesting locations and world famous UNESCO world heritage sites. I traveled to the Sofitel Macau hotel by bus, since I arrived by ferry from Hong Kong on the other island, called the Taipa Island. However, there is a bus that brings you directly in front of the hotel. The reception is quite busy and has, I assume, also some Chinese influence when it comes to the design. While I was waiting at the reception, a friendly staff member approached me and asked for my name. After I told her my name she told me that I have been upgraded to the Club Lounge. 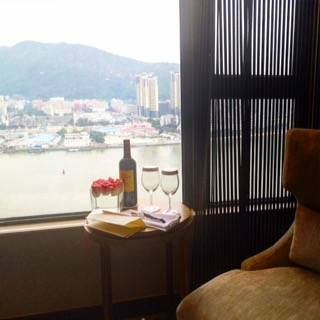 She then brought me to the 17th floor of Sofitel Macau, which is their Club Lounge. That said floor is dedicated to hotel guests who have this special status. My hotel check-in was conducted there and the staff was extremely friendly and gave an extremely outstanding service. There is free Wi-Fi everywhere in the hotel (though, not always the strongest) but there is also an additional service. After completing check-in procedures, the Guest Relations Manager, who coincidently is also German, approached me. He showed me my room and talked a little bit about the amenities. One of these amenities included the handy mobile, which he also explained to me. 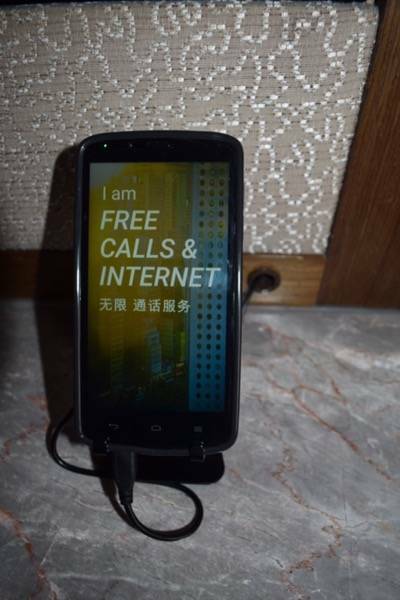 I saw handy phones in Hong Kong for the very first time, where better hotels would have a handy mobile but had not used any before. 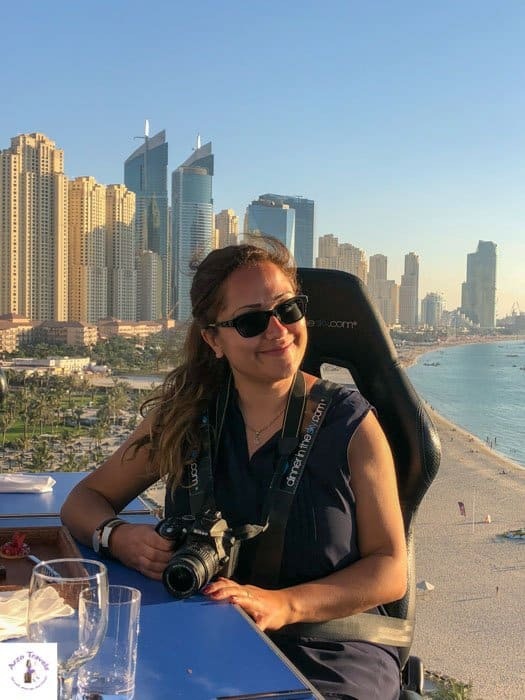 Usually, handy phones have different apps and work as tour guides, but also has apps like Instagram or Facebook or google maps and other features such as fast internet. It is promised that all the data will be deleted once I check out. This is very convenient since you won’t have to activate your personal phone’s roaming service. You can also make free phone calls to certain countries (though I cannot remember which countries were on the list here) Of course, the handy mobile would have to be turned in after your hotel stay. 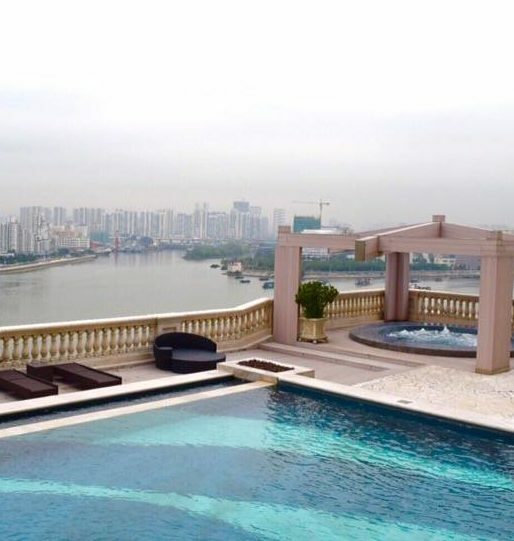 Sofitel Macau is actually the first hotel to have this high-tech amenity, which is great. Once I have settled down into my room, I enjoyed the city view. Though the room was not the most modern, it was pretty nice and from my room’s vantage point, it provided me with an awesome view of China. 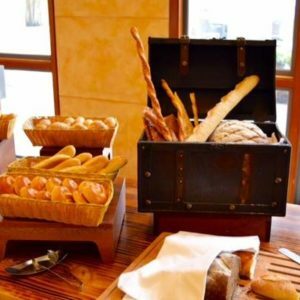 Also, at Sofitel Macau, if you’re checked in as a Club Lounge member, guests can have some sweets and a bottle of wine in the room. I then decided to leave my room and since it was around high tea time, the Club Lounge receptionist suggested for me to go the restaurant’s bar to enjoy tea and snacks. There were also all kinds of hot and cold beverages being served, which was awesome. After my high tea break, the Social Media Manager met with me and she gave me a tour of the awesome Sofitel Macau hotel. Although you might not expect it from how the hotel looked from the outside, it has some really nice features and amenities. 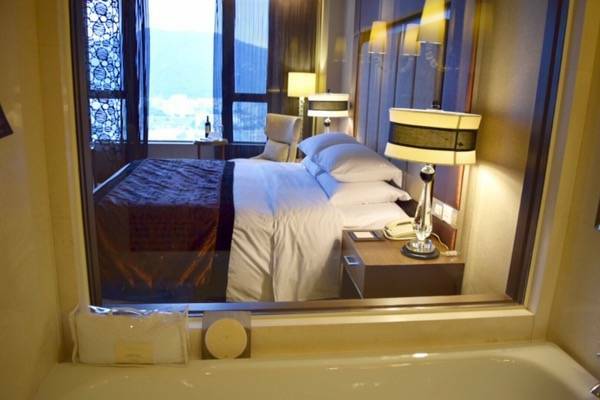 At Sofitel Macau, some of the rooms are very spacious and can even be considered a mini-mansion. Guests can enjoy having separate areas inside a room which is ideal for big families. It also features a private pool with awesome views. I was seriously impressed by that. After touring the rooms, the hotel’s Social Media Manager then showed me the spa area. 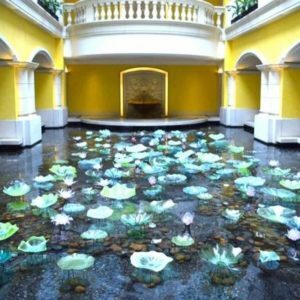 I did not include spa treatments as part of my Macau trip itinerary, although I’m totally into spas, so I initially had no plans to visit the hotel’s spa. However, when I entered the hotel’s spa area, it was so nice. All the staff at the reception were extremely pleasant during my spa tour. 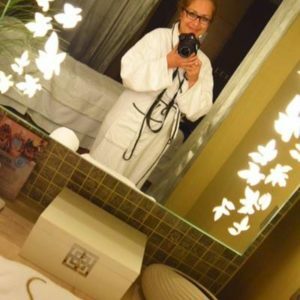 I liked it so much that I spontaneously decided to have a spa treatment for the next day because it looked like the perfect place to relax. There was soothing music being played and it had such a nice ambiance or atmosphere. It was also very pretty and if you don’t enjoy a spa treatment there, I don’t know where you could’ve enjoyed a spa. So the next day I went to the spa and again the Spa Manager was awesome. Another spa staff gave me a massage after a short consultation, where she asked me about my preference such as what kind of music I enjoy, what kind of oil would I want to use, allergies, and even the aromatherapy treatment that would I want to have. I was also given some drinks for detoxing during my spa treatment. I also enjoyed the steam room and also used the whirlpool and other amenities. After a certain time, I was picked up for my spa treatment. As a spa lover, I wish the spa could have taken ages and not stopped after one hour. After that beautiful treatment, I got out and enjoyed more detoxifying tea and drinks. 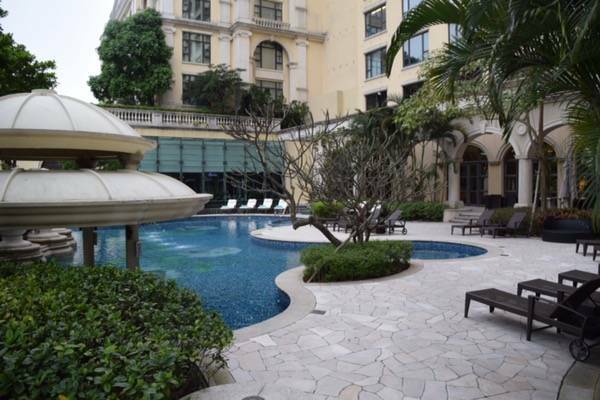 As for Sofitel Macau’s pool area, my visit to Macau happened at the beginning of April when it was already starting to get warmer, but still a little bit too cold to jump into the pool. However, I found the pool very appealing. When I had breakfast, I even used that chance to eat outside at the pool, which was really nice. 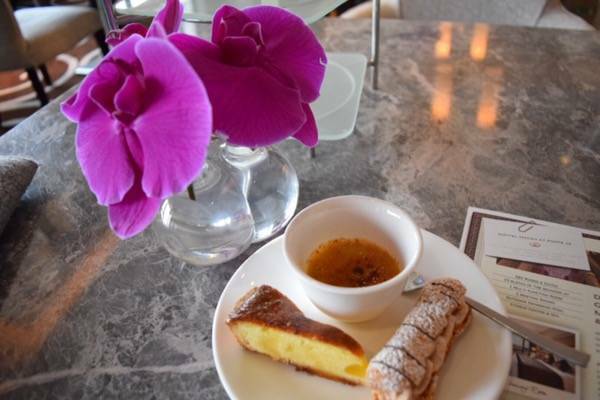 Though as a Club Lounge member, there is a restaurant that is special for all the Club Lounge members. Still, I preferred to sit outside and to enjoy a view of the pool. 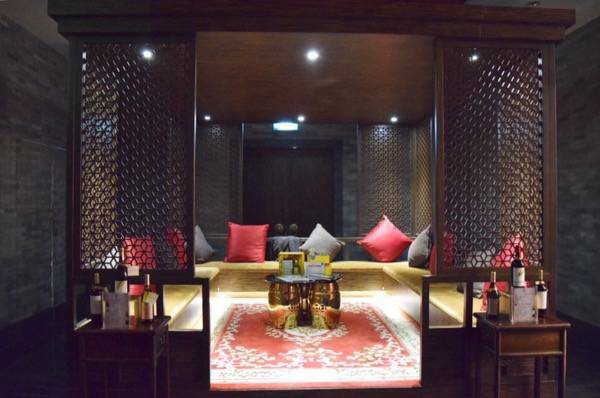 For guests dining in the smaller private restaurants, they would also enjoy the same great food but the view features a look at a river and China. Both views are great, but I spontaneously decided to sit next to the pool during breakfast. The breakfast was awesome and there are a lot of options for fresh juices and healthy food. You can, of course, order everything. It also featured a chocolate fondue for guests who prefer something sweet. However, I ate so much that I didn’t have any chance to dip any foods into the chocolate fondue. 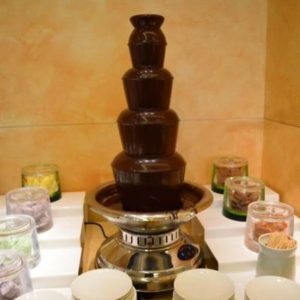 Being a person who is really addicted to chocolates, the chocolate fondue is the best that you can do for me. Unfortunately, I couldn’t eat anymore. All in all, it definitely was a great breakfast and the restaurant had a great service! The restaurant for Club Lounge members is open for breakfast, as well as for high noon tea and has a cocktail hour. During the cocktail hour between 5:30 to 7:30, there will be snacks and cocktails served. Club Lounge members don’t have to pay for it, although you would need to pay for the tea. I missed on enjoying the cocktail hour that day because I went out, but when I got back to the hotel at around 10 or 11 o’clock, there were still drinks available. There were a variety of drinks such as hot and cold beverages, as well as some sweets. Again, the staff was very friendly. If you want to spoil yourself in Hong Kong but you don’t want to pay too much for the hotels, or need some few days off to relax at the pool and enjoy, then Sofitel is a great choice. 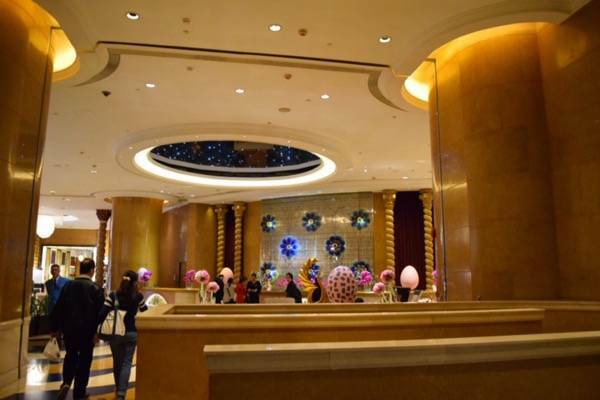 The hotel also has a casino, like all big hotels in Macau, since gambling is a part of Macau. However, I admit that I didn’t even get to see the casino. But the ambiance of the hotel or the experience is slightly different since it doesn’t have that big casino vibe or feeling. For me, this is great since I’m not interested in casinos. 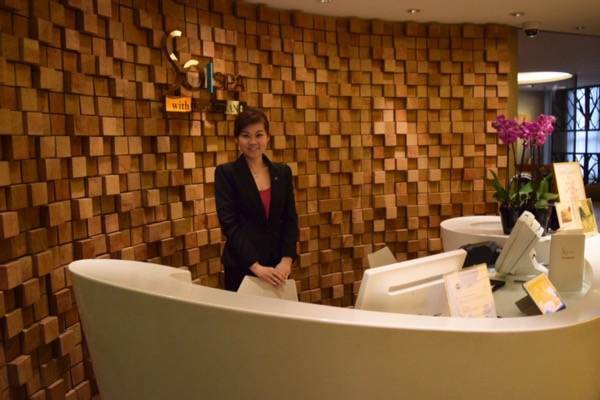 Meanwhile, I consider checking in as a Club Lounge member at Sofitel Macau a great thing. On my first day stay, I saw a lot of Sofitel and it was the first time that I experienced being part of the hotel’s Club Lounge. It made me fall in love with the system and everything that the hotel can offer. 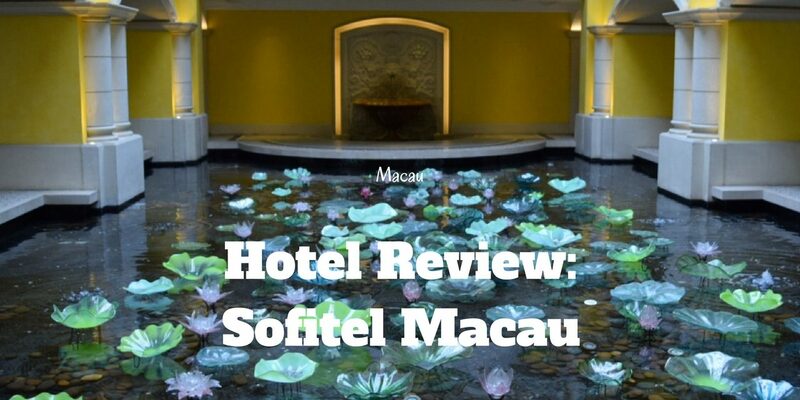 I definitely recommend staying at Sofitel Macau because it offers great value for money. 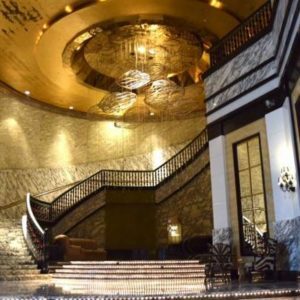 Click here to get the best deals and to find out more about Sofitel Macau or read this guide on the best places to stay in Macau. Disclaimer: THIS POST MAY CONTAIN AFFILIATE LINKS – THIS MEANS I WILL EARN A SMALL COMMISSION WHEN YOU BUY A PRODUCT/SERVICE (AT NO EXTRA COST TO YOU. MORE ABOUT IT HERE. Click here for more about hotel reviews.